Raise your hands if you too can't wait for the final season of Game Of Thrones! The trailer has left us wanting more, and we just can't wait for April. 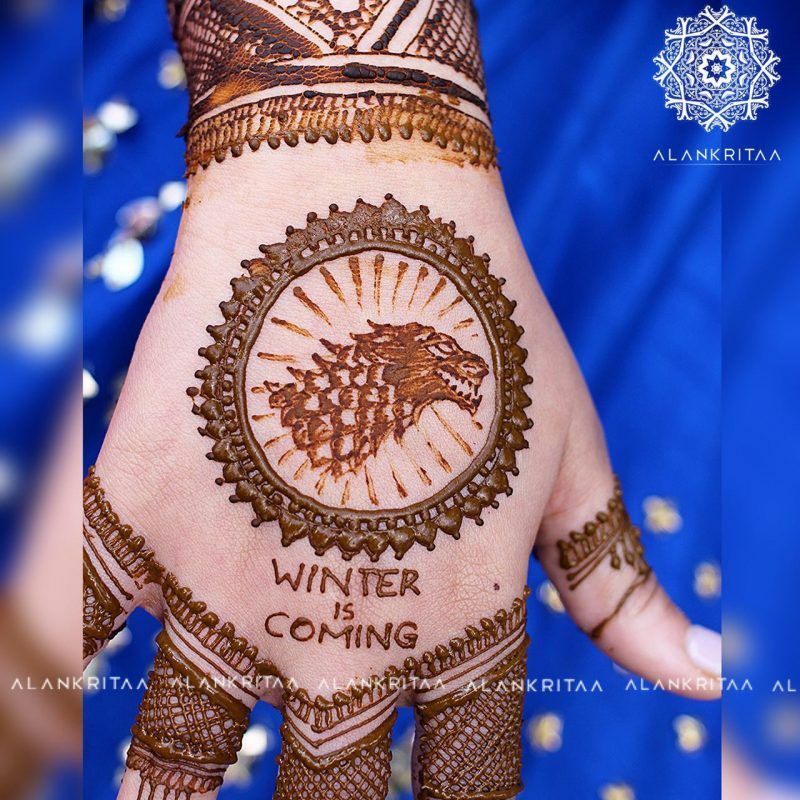 So here is something special that goes along with the GoT fever a lot of us currently are suffering from! 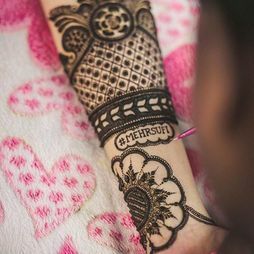 It's always special when a bride personalises her bridal mehendi- not only does it stand out from the rest, but can be a sweet surprise for the groom too, especially when you include some cute elements that define your relationship or you bonded over! 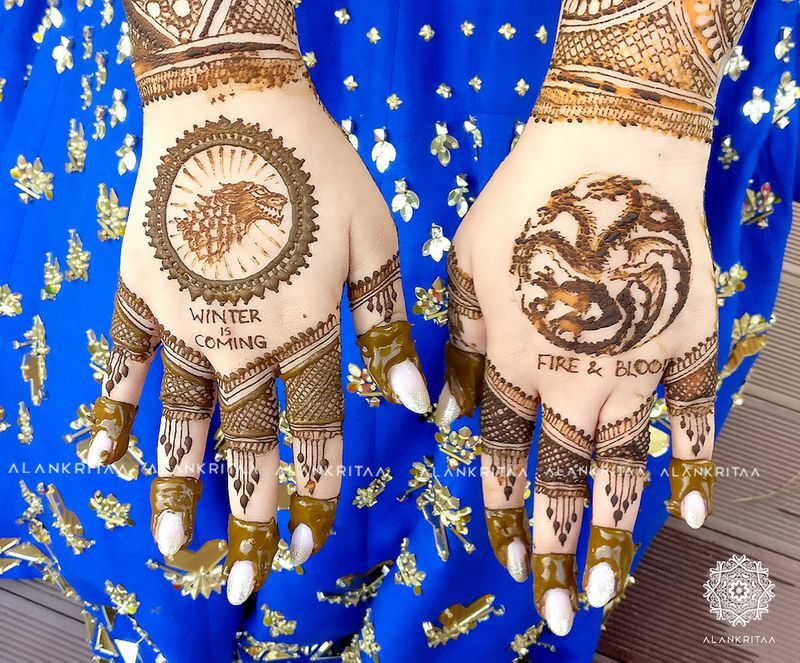 This one is sweet since the bride Penny included elements from Game Of Thrones in her bridal mehendi along with a lot of other meaningful little personalised things, and we loved it! 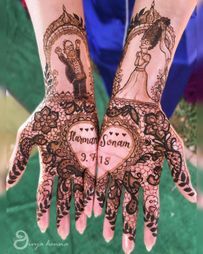 The beautiful mehendi was designed by Rashi from Alankritaa★ 5 , who also tells us about it! 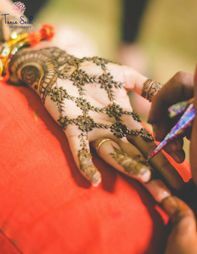 "Penny got in touch with us a few months ago to discuss some personalised concepts for her mehendi. In the process, we sent her a few questions to understand the couple better, as we normally do. Little did we know that we would be playing with such unique elements in our design!" 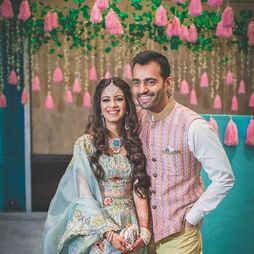 "Kush, the groom, had popped the question in Central Park, New York and their photographs helped us recreate the exact moment in her mehandi, including the design of her dress, the Bow Bridge at the back and the beautiful fairy lights! Not only that, we also included the logo of Hinge (where the couple met), the famous peephole door frame from F.R.I.E.N.D.S which Penny is crazy about, their milestone dates, and of course, their favourite drinks, Belvedere and Black Label (which probably explains their wedding hashtag #AlwaysPK)." But we kept THE BEST AND OUR MOST FAVOURITE ELEMENT for the back of her hands – the GoT element!!! Since we are huge fans of Game of Thrones, we could not be more excited about incorporating this concept and Penny was totally game from the word go! If you must know, Penny is a true Stark fan while Kush is rooting for House Targaryen! 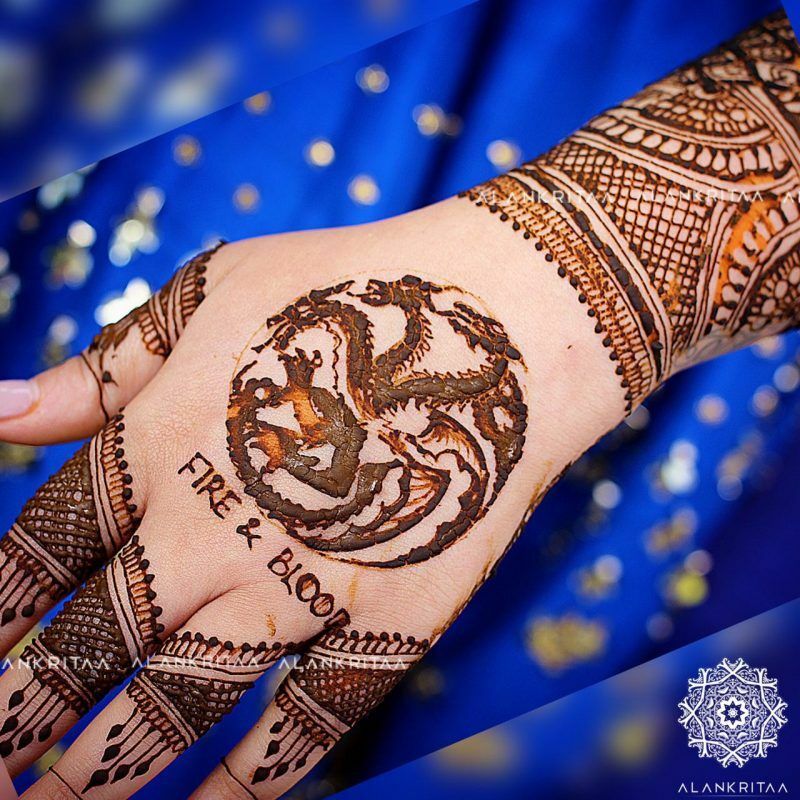 The beautiful coincidence was that we were able to watch the new trailer with our gorgeous Khaleesi while putting her mehendi!" Minimalistic Mehendi Designs for Brides Who Don't Like To Go OTT! 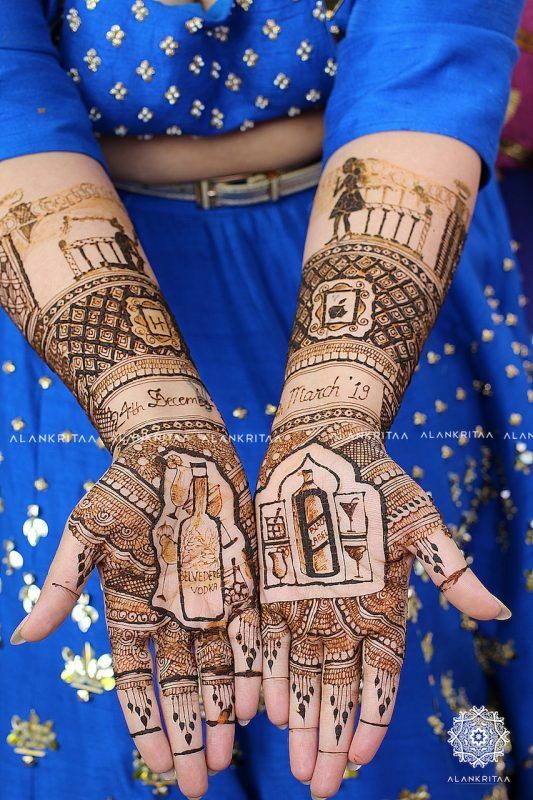 10 Cute Ideas to Personalise Your Bridal Mehendi ! 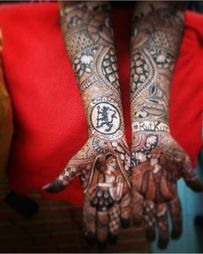 One Bride Got Her Groom's Fave Football Club On Her Mehendi & We Think It's Cute! 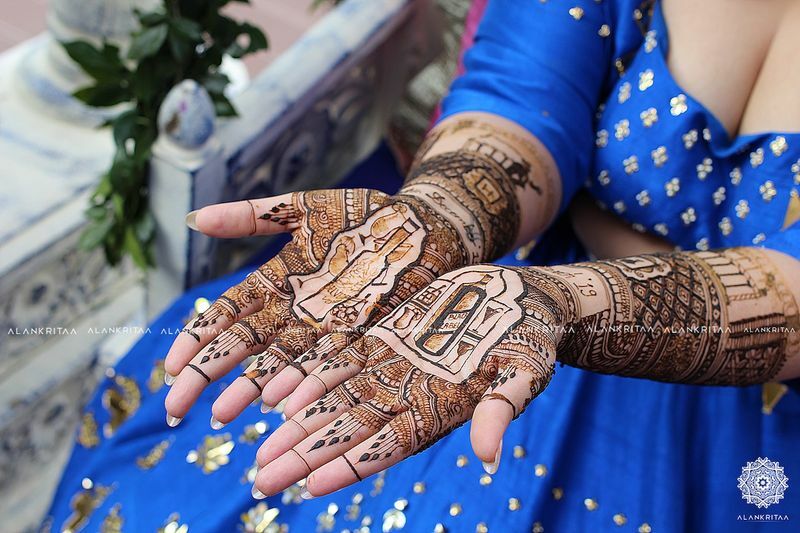 This Bride Got Burger & Fries Made In Her Bridal Mehendi, & We Found Out Why! This Bride & Her Fam All Got Simpsons Characters In Their Mehendi & We Love It! 20+ Amazing Temple Jewellery Designs That We Spotted On WMG Brides!